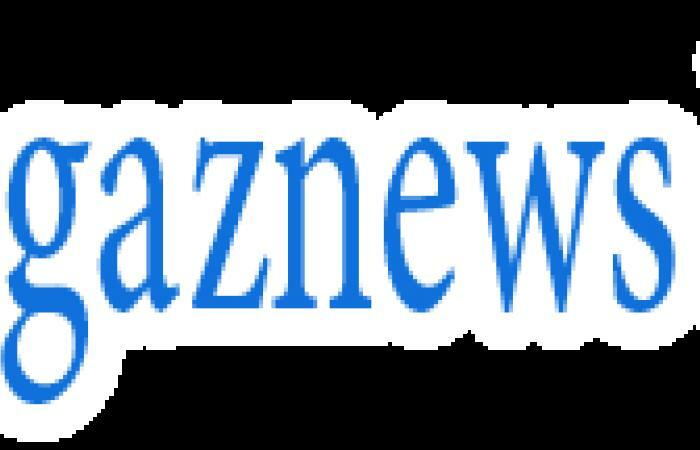 After a turbulent season, the picture is a lot prettier for Manchester United at present - they are firmly in the top four hunt, popular manager Ole Gunnar Solskjaer has signed a permanent deal, and star players including Paul Pogba seem to be enjoying their football. 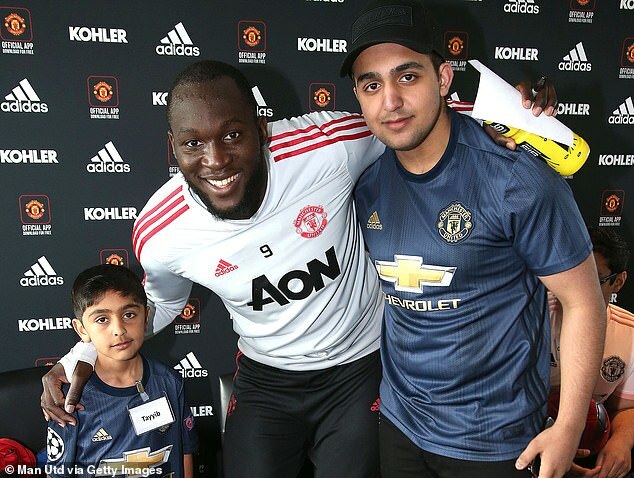 Those good spirits were carried into United's 'Dream Day', an annual charity event hosted by the club's foundation which sees young fans get a chance to meet their heroes. 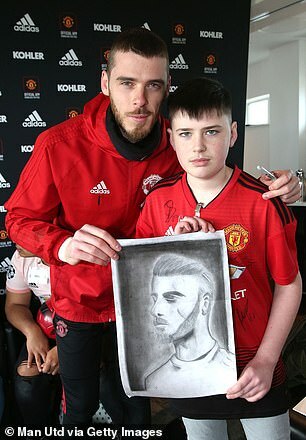 One fan, 13-year-old Daniel, had brought Pogba and David de Gea to life with drawings of the players' portraits. 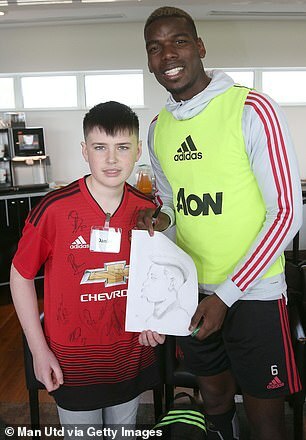 The young fan got the chance to show off the artwork and posed for photos with the real people, along with his drawings. Most of United's first team squad turned out for the event, including Romelu Lukaku, Juan Mata, Chris Smalling and Jesse Lingard. 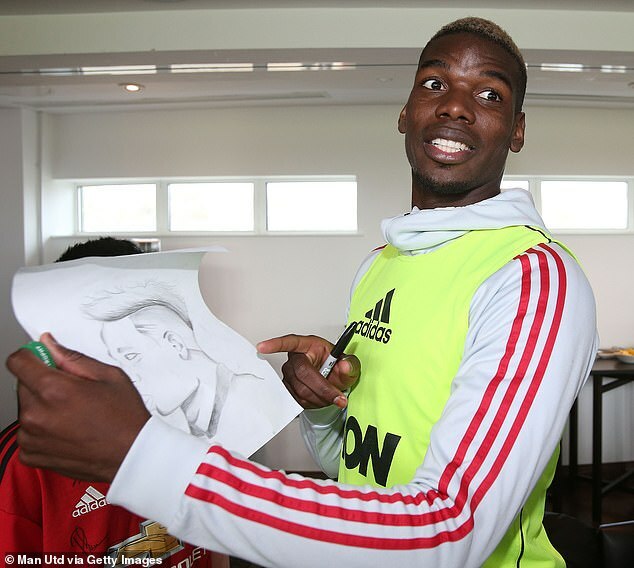 Solskjaer was there too, and was pictured chatting to seven-year-old fan Hannah, signing her pink United away shirt.